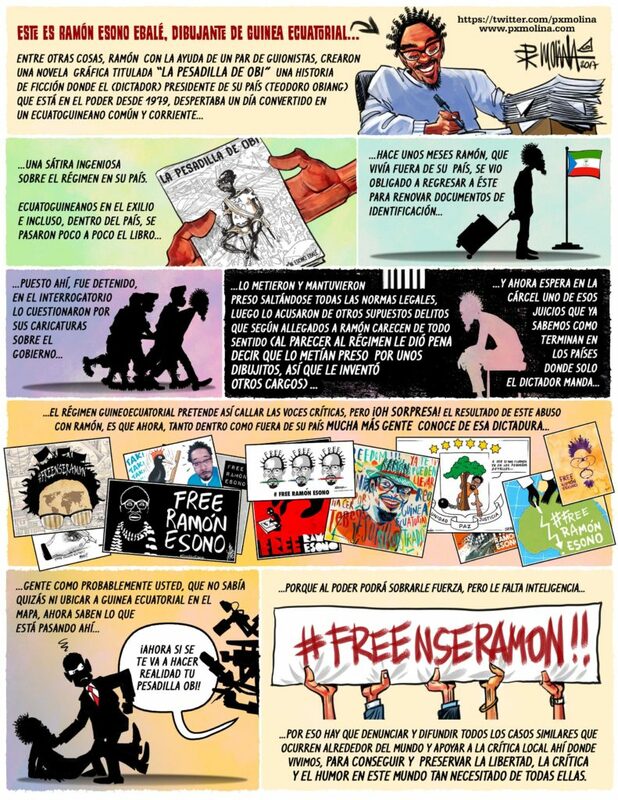 For International Human Rights Day Pedro Molina pens a special cartoon about Ramón Esono Ebalé, imprisoned three months now for cartoons critical of the Obiang regime. 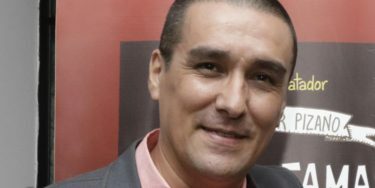 Take just a couple minutes and let them know that people care about the treatment of Ramon and demand his immediate release. Thank-you Professional Cartoonist Organisation! 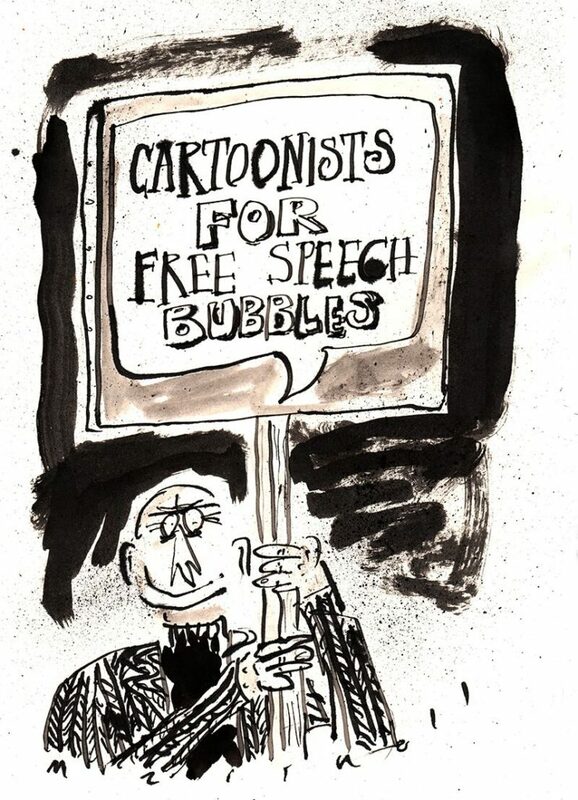 PCO, a cartoon group in the UK, mounted a benefit exhibition, “Gagged”, at Westminster Reference Library in central London. Thanks to a great volunteer effort on the part of members of PCO the show was a big success. A sale of cartoons benefited the work of CRNI. 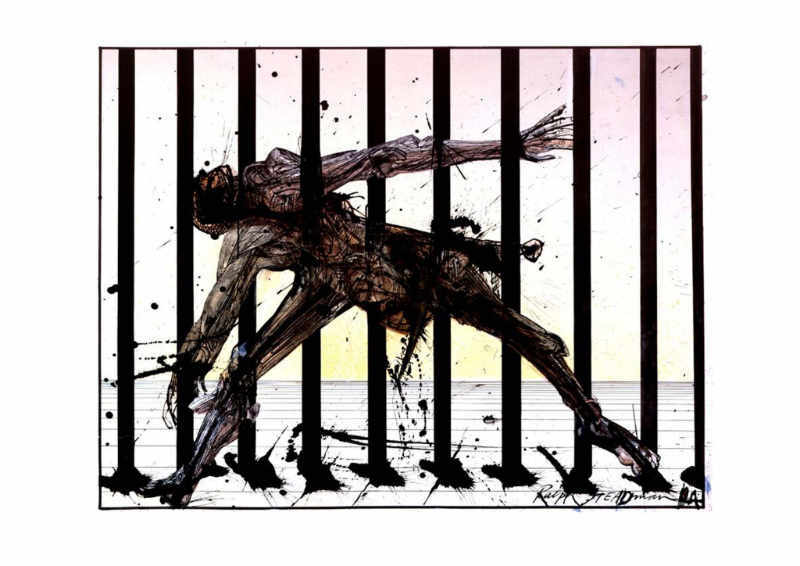 On November 28th an evening event featured a free talk with Andy Davey, Martin Rowson and Jodie Ginsberg from Index On Censorship. Robert Russell, director of CRNI joined the discussion via Skype to highlight current cases of cartoonists imprisoned and facing intimidation around the world. 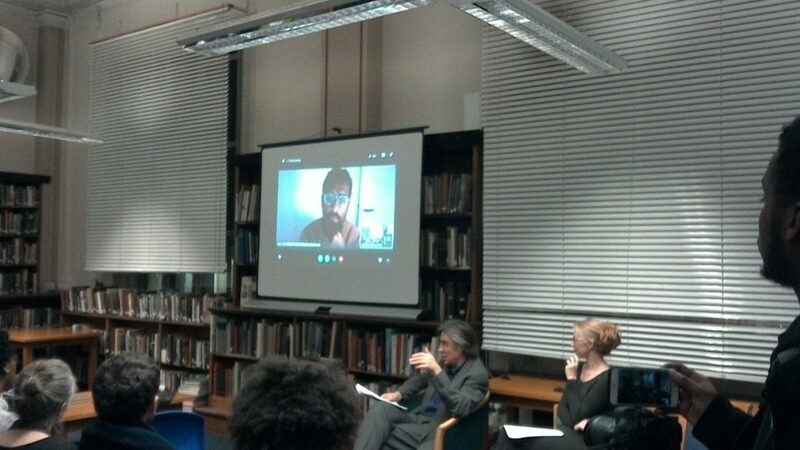 Cartoonist Khalid Albaih also joined by Skype and gave a very moving talk about how European politics influences the flow of refugees from North Africa into European countries. On Saturday November 25th there was a very successful free cartoon workshop hosted by Banx and The Surreal McCoy. Special thanks to Director Bill Stott and the PCO cartoonists Glenn Marshall, The Surreal McCoy, Rupert Besley, Andy Davey, Jeremy Banx and other PCO members for all their hard work organizing it all. Thanks as well to those who contributed cartoons and also to the staff at Westminster Library, UK who provided the venue. Plans are in development to find other venues for the gagged exhibit throughout Great Britain. CRNI is very grateful for the generosity of PCO as well as the solidarity of cartoonists and friends of cartoonists around the world. 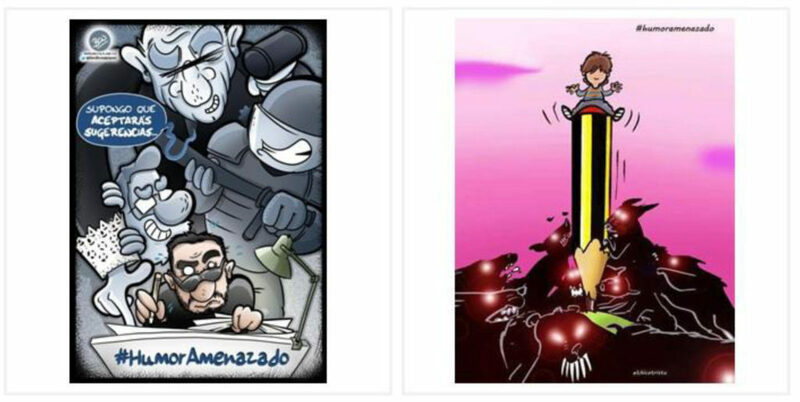 Cartoonists and the undersigned, make it clear that at this time, Humor is threatened in Spain. 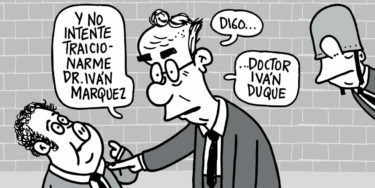 Recently, we have witnessed the unexpected firing of several cartoonists like Ferran Martín or Eneko de las Heras, adding to others also fired such as Farruqo, Romeu. Ventura, Farruqo, JR Mora, Altuna, Alfons López, Orué, Atxe o P8ladas, as well as others. The cartoonist Cels Piñol suffered censorship at one of his conferences in Bulgaria. Adding this to allegations against the magazines “El Jueves” and “Mongolia”. Other colleagues also admit receiving insults of personal nature for their work. In February 2016, two puppeteers were jailed, accused of hate crimes and terrorism glorification. The Spanish justice finally dismissed this case. The same year, two presenters of the TV show “El Intermedio” (Gran Wyoming and Dani Mateo), were imputed for crimes offensive to religious feelings. They were acquitted. In a healthy democracy, it is a worrisome symptom that cartoons, tweets, gags or satiric articles so easily outrage those in power. It is particularly striking that a joke can be taken so seriously. Humor censorship happens silently and consistently, and not only in Spain. 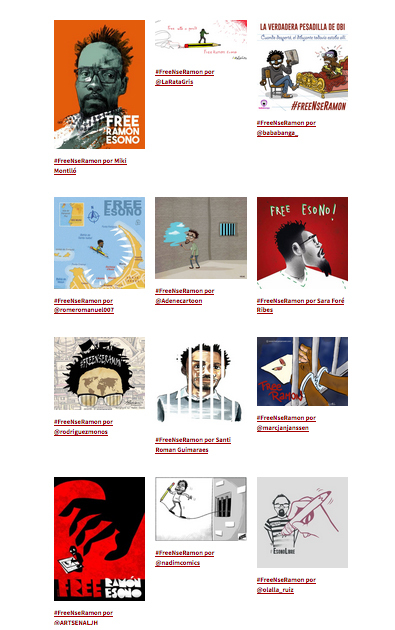 We remember other cartoonist colleagues who are suffering retaliation from their governments: Ramón Econo (Guinea), Emad Hajjaj (Jordan), Osmani Simanca (Brasil), Musa Kart (Turkey) or G. Bala (India). Taking humor to court is not a joke. This was known very well by the great cartoonist and Humorist Gila, who was jailed for being a republican and fined for his work under the censorship of the dictator Franco. With this manifesto, we have decided to call to attention democrats and mobilize social networks under the hashtag #HumorAmenazado (threatened humor) in order to request the repeal of the “Ley Mordaza” (gag law) and call out in favor of freedom of expression in all its artistic forms. Cartoons to raise awareness for imprisoned Equatorial Guinea cartoonist Ramón Esono Ebalé are being posted with the hashtag #FreeNseRamon. This is just one of the long list of harassments and intimidation by the BN governenment. Since 2009, my office in Kuala Lumpur has been raided a few times and thousands of my cartoon books have been confiscated. The printers, vendors, and bookstores around the country which carry my cartoon works were also raided. 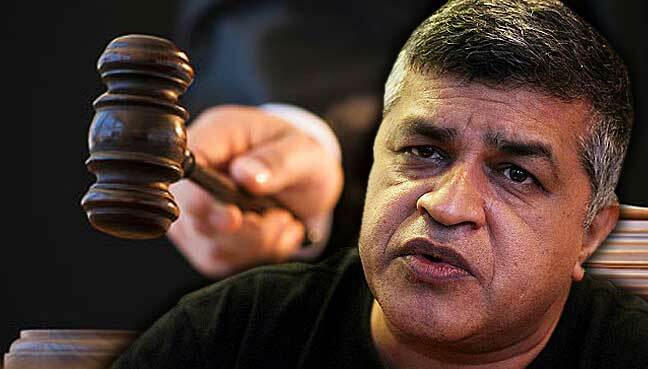 I was arrested several times and now facing nine charges under The Sedition Act. The government also bans me from traveling abroad since June 2016. Let’s make it clear — if the government does not like my cartoons (I do not expect they will), I have no problem with it. But you cannot translate your interpretation into law by banning a book of my thoughts. This is against the Federal Constitution which guarantees freedom of expression.